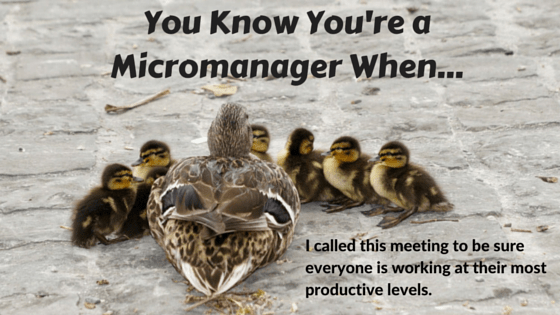 My dream is to work for a “micromanager” … said no one ever. I strive to be managed by someone who monitors my every move. I love having work delegated to me, then have that very person watch over my shoulder. My favorite thing to do is write daily update status reports on a project that was entrusted to me. My preferred way to communicate with my manager is to have him come into my office daily and ask benign questions about mundane details. My goal is to travel to the office every single day to make sure my manager knows exactly what I’m doing with each minute. Can I please turn in a daily schedule that has every task outlined? I need them to know I’ve been working, and not doing things like eating lunch. I live for the days of ever changing project priorities based on my managers mood. That’s what keeps the job a challenge. Trust? Who needs to be trusted? I deserve to have less trust placed on me than your standard teenager. What? No? That’s NOT what people say? Oh. You may laugh because you know these actions are archaic. We inherently know that micromanaging stifles creativity and innovation. We know micromanaging is detrimental to a person’s self-esteem and overall work performance. Yet, the behavior still exists. So, if every manager KNOWS that micromanaging is a poor performance tool, and every manager INSISTS they are not this dreaded person – then logically the micromanaging boss should be extinct. Right? The results would not indicate so. Therefore it is time to reflect, could the micro-boss be you? Do you dictate work be performed in a particular way – focusing on the “how”, rather than the outcome? 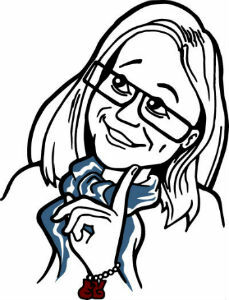 Do you insert yourself into projects without asking or being asked? Demand unrealistic turnaround times without consulting the team on actual work requirements? Do all project decisions must first be run past you (just in case, of course)? Are you focused on the details of the project, not the bigger picture? Have a tough time delegating in general? No one can or will do it better than you, that’s why you’re the boss. See yourself? Maybe not in all areas, just in a few? As with any self-assessment, key is to be honest with yourself. If you know in your heart of hearts you are reflected in the above questions. Now what? After being a witness to an extreme level of micro-managing, I was prompted to do some research. 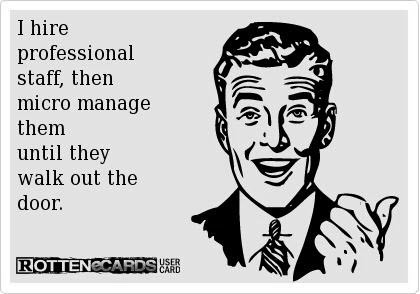 I came across 76,700 articles about “How to manage a micromanager.” Some more constructive than others. They all start with the premise of the victim adapting their behavior to best fit in with the abuser. Here’s my question – if you are the victim, why must you adjust YOUR behavior? This perpetuates a cycle. We cannot change a mindset that does not want to be changed but this doesn’t mean we have to take the micromanager laying down, waiting for them to yet again trample our backs like the pathway to an open bar. It’s time to work together, or work that network and escape the abusive situation you are in. You deserve better. For those of you who recognized yourselves, time to take the first step and acknowledge an issue exists. It is important to mention that there are a people who are at their happiest being uncompromising micromanagers. This is because, at it’s core, micro-managing is about power. Specifically, power over you. The need for power is a strong personal driver and not a driver you can change overnight (if at all). As a person being victimized, this is a mindset that can only be recognized and then perhaps influenced by you. Once you come to terms that micro-managing is a power play – as a manager, do you have triggers that bring this behavior to the forefront? Understanding trigger behaviors will help you to mitigate your inclination to micromanage situations. For those of you on the micromanaging receiving end these may be some ideas to help you develop your micro-boss to being a better leader. Try these tips to start the healing process. Do you find that you are always changing how you measure success? Technology allows us to measure anything and everything to death. This can be good news and bad news. Try this: During project kick-off meetings determine one or two methods of success measurements and STICK TO THEM. Measure what is important to the big picture, anything else eats up time and gets in the way of big picture completion. As a manager, does your heart start pounding when you haven’t had a status update in 24 hours? Take a deep breath. Take a walk. There is difference between monitoring behavior and measuring success. Don’t let the two cross paths. Ask yourself, do you trust your team? If not, you have bigger issues than what can be solved in this post. If you do, then allow your team to come to you for coaching and guidance. Try this: Determine in the kick-off meeting a realistic check-in schedule and ask one question of everyone, are they in the red or yellow zone? If so, ask how you can help. If not, let them get back to work. Is everything important and urgent? Do your task list items all have giant A’s next to them? When everything is important and urgent, one feels the need to micromanage to keep the plates spinning. Try this: Set one high priority item per person or team that is critical to project completion. How the team works to this priority is up to them. As a team member, clarify which priority is the TRUE priority. Nail it down and come to an agreement ensuring this one priority will be number one on your list too. Does everything become about you? At first it’s about the project, then somewhere down the line it becomes about you? Recognize when your vocabulary turns turns from “we” to “I”. Do you feel if something is incomplete or fails, it makes you “Look bad“. Red flags! Try this: Instead of “I need…”, how about “How can we…”? This tip works both ways, “How can we move the project forward?” or “When can the team get together to review milestone work?” Worrying less about the “I factor” allows people to innovate to create the best possible and most appropriate solutions for the project at hand. Working for a micromanager can be painful. For those of you who may recognize yourselves, it may be painful to stop. As stated before, power is a strong personal driver but so is fear. Fear or failure, fear of letting go, fear of someone looking better than you, fear of making making wrong decisions. Control the fear, and let the team go. The emotional strain being caused isn’t worth it. Put a good person in a bad situation, and the bad situation will win every time and who really are the winners? Certainly not the organization, who now has to spend money to find a replacement, not you who will have to train the replacement and not the person leaving. Many good people have left great organizations run by micromanaging people. No one really wants to leave, what may be a great opportunity, because they cannot fit within the culture created by micro driven craziness. Do you have experiences to share? Tips to recommend for reforming micromanagers? Share your thoughts. You know you want one! New ebook, PRE-ORDER NOW! Hi Shannon – thanks for a very thought provoking post. Thought provoking on a personal level because some of this reflects situations I have experienced and seen others experiencing. So much of what you mention – constantly changing priorities, everything being URGENT and IMPORTANT, the power plays – is painfully recognisable. I think you nailed it with ‘put a good person in a bad situation and the bad situation wins every time’. I am seeing this happening right now. And, as Nick says, sometimes – often, perhaps – it’s not just about your direct manager; there’s a culture of rule by fear, power – and as a result – micromanagement – perpetuated right up the chain, that then trickles down from the top down to middle management. And sometimes the direct manager may not even be consciously aware that they are taking on the management style of the prevailing culture (giving them the benefit of the doubt here!). And although I definitely agree that it is also up to employees to push back, provide feedback and manage up (especially in terms of things like priorities), it can get tiring, and you’re often fighting an uphill battle. Often the end result is that the person massively disengage from their work and the organisation, or – as you’ve mentioned, they end up leaving. Often the sad part is that the managers don’t *seem* to care (or maybe they are just in denial), but this culture often accompanies an attitude of employees as replaceable resources. Not sure what the solution is – perhaps managers and employees developing self awareness and courage to manage up and try to slowly change the culture? It almost seems as though as long as management jobs have power, status and money attached to them, people in – and aspiring to – these positions will always be driven by power and fear. I guess where I’m going with this is that maybe it’s systemic…just thinking out loud and trying to make sense of it! Not sure if there are easy solutions…maybe we just keep chipping away. Or find organisations that align with our values. Hi Tanya – thank you for your very thoughtful remark. It is hard when the issue is systemic, a person can feel especially powerless and disengaged with the environment and with the position overall. I always wonder what happens with to the person as they make their way up the corporate ladder – they experience micromanaging, and they know the pain it can inflict, yet they turn around and perpetuate they cycle. It does become almost like a cycle of abuse, and in it’s worst form it is; especially when employees have little options (economic situations, demographic options, education etc). This is how they have seen and experienced management, so subsequently this is what it must take to be successful. It’s stressful just thinking about it. How do we solve it? Just as you stated. We start chipping away at it. Through conversations, through dropping books on the offenders desk, through honest feedback on employee surveys, through honest feedback on exit interviews (if we do leave the organization). It’s hard to be the one to take the stand, but it must be done. So with chisel in hand, let’s start either chipping away at this terrible behavior, or help provide someone with the tools. Let’s start chipping away. Thanks for the article, enjoyable. Nick – I think you set a record for time passing and comment posted. You make an excellent point and one I hadn’t considered. The trickle down effect. I just had a mental image of a stone being thrown in the water and the ripples it creates. One after the other, wow. I suppose this goes to the “Good person, bad situation” point. The situation will win every time and to the detriment of everyone else, and everyone it touches – both directly and indirectly. Now it’s especially sad to realize the after affect. Do you think a micromanager really understands the psychological impact? How their actions chips away at an organizations culture and esteem? I’d love to hear from anyone with greater insight. Time passing and comment posted? Was I fast or slow? Or just confused? No, micromanagers don’t understand, they have the interest of immediate ROI in mind. They want the info they want at whatever expense. It’s all about control to get what they want but they don’t understand what it does to everybody else nor do they probably care. Usually they’re arrogant execs that have 1 mission and people are just barriers (ok, not usually but the times I’ve seen it is).